Makes 2 tarts, serves about 8 in total. Squeeze the juice of the oranges and half of the lemon into a bowl. Don’t worry if you get bits of the orange flesh in with the juice too. Zest the other half of the lemon, and add to the juice mixture, along with the sugar. Add the rhubarb, and stir it altogether. Set aside. Cut the pastry in half lengthwise, and then use a floured rolling pin to roll out each piece into a rectangle, roughly 12 by 6 inches. Use flour on the surface if needed. Make a 1/2 inch border around each rectangle by scoring lines parallel to the edges but make sure not to cut all the way to the bottom. Use a fork to prick the inside border of the pastry. Remove the rhubarb from the mixture, but keep the liquid to the side. 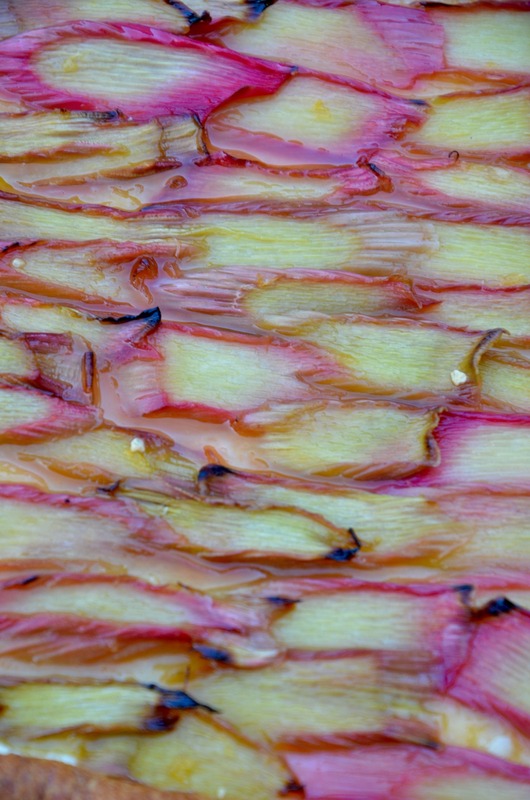 Top one rectangle with half of the rhubarb mixture inside the scored border, overlapping the slices each time. Do the same for the other square. Pop into the middle of the oven on a large baking sheet on an oven tray for about 30-5 minutes. Add the reserved orange-rhubarb liquid into a saucepan, and simmer on low heat, stirring every so often, for about ten minutes, or until the liquid has turned a deeper colour and become slightly thicker and stickier. 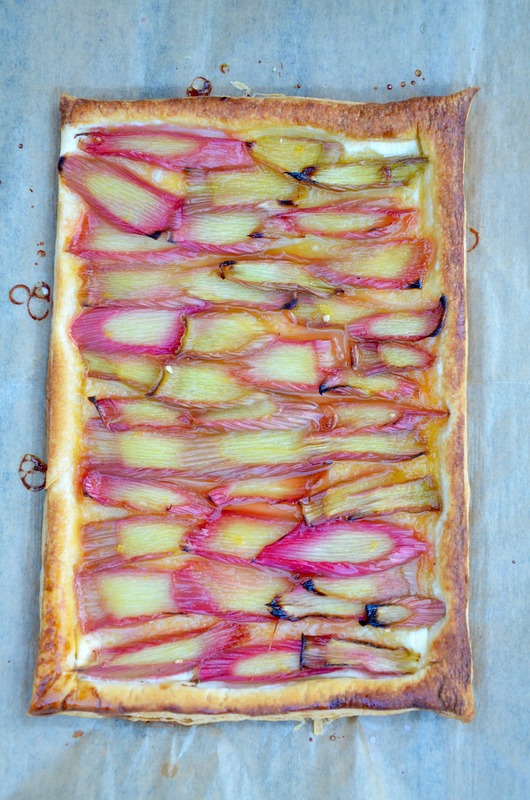 With about five minutes to go, brush some of the glaze over the rhubarb, as well as over the pastry to give it some sheen. It is done when the pastry should be golden allover, even on the underside. Remove from the oven, brush over all the remaining glaze, and serve warm with ice-cream. Haha, thank you! If this is where you begin, you shouldn’t go wrong!